Sr. Assessor Clay Paul of Atlas Efficiency Solutions gets satisfaction from helping grateful customers like Tomas and Anabelle Ruiz who recently qualified financially for Casa Verde, CPS Energy’s free home weatherization program. Paul warmly introduces himself to Tomas and explains that he’ll be doing a series of assessments to make sure his home can benefit from energy-saving measures. During the assessments, Tomas, a Vietnam Veteran, talks about his family and proudly shares war stories. Amidst sharing personal stories, he talks about how Casa Verde can really help him out. He is grateful a family member encouraged him to apply. 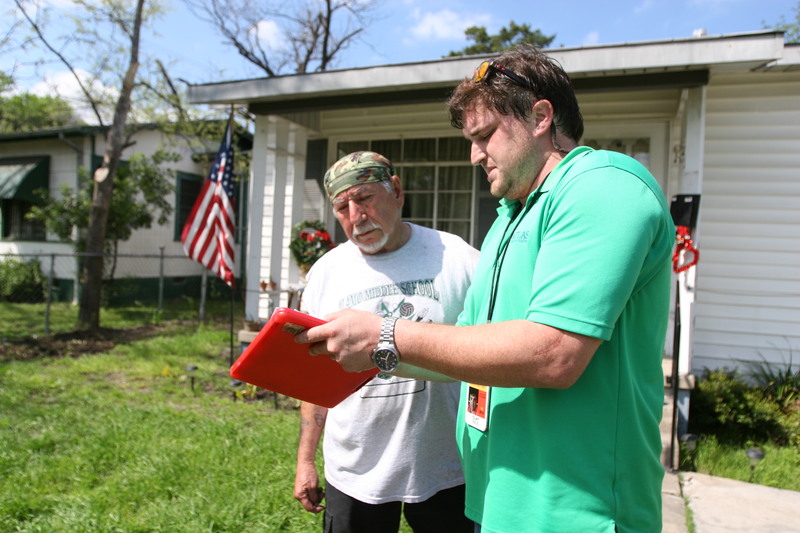 Paul listens intently while continuing his work to see if Ruiz’s home is eligible for up to $5,000 of free energy-saving measures like wall and attic insulation, weather stripping, solar screens and more. Casa Verde families save an average of $350 a year on energy bills. Paul sympathizes with families struggling to make ends meet. He knows a little bit about what it’s like to fall on hard times. He lost his job in the shipping industry in 2008 during the economic downturn. After working for a brief stint in the oil and gas industry, he was happy to get a stable job with Atlas in 2010. Paul now uses his training and expertise to benefit families through Casa Verde. 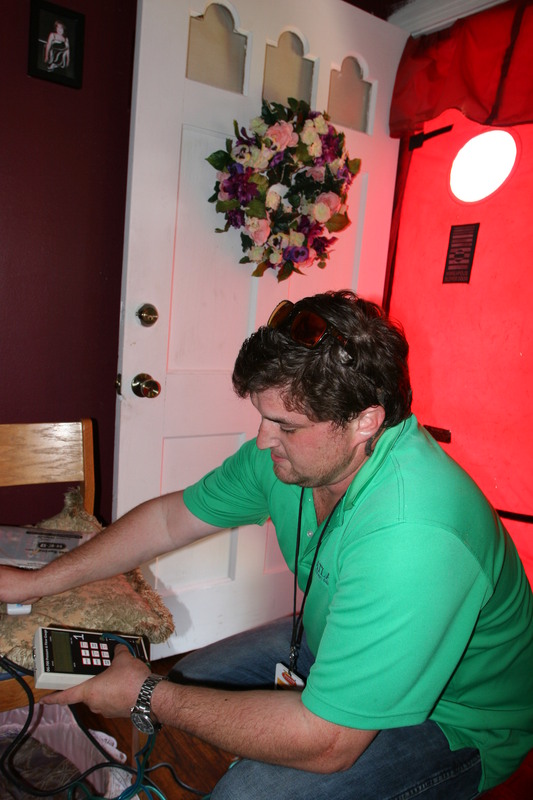 During the energy assessments at Ruiz’s house, Paul checks for air infiltration issues with a blower door test and air duct test. He uses his keen observation skills to check for water leaks, foundation issues and health and safety issues like carbon monoxide. An hour later, Paul shares the good news with the couple that their home qualifies for Casa Verde. Anabelle beams a big smile while handing Paul a cold drink. It’s the end of the day. Paul waves goodbye to the veteran and his wife before heading home. The next day, he will offer his friendly service to three more families that may benefit from the comfort and savings provided by Casa Verde. ← Community Programs Fair in Somerset, TX. – Thurs., April 16, 4 – 6 p.m.